Where the little girls in their Hollywood bungalows"
the movement is what gets you going. I write poetry and often listen to rock while i write. This song helps drop into the anger, pain and eventually grief. Unrequited love was the language of the provancel. The troubadours were hung up on some Woman or landscape ( Terry Tempest Williams) or some such thing. Miloz once said every poem is a lament. The longing is a madness or ability to feel and somehow feeling is a freedom or a relief. Naturally you have a million and one arm chair quarterbacks saying, " that's not art" or that is art. Maybe in the end none of that matters as an older Normal Maclean put it, " As time passed, my father struggled for more to hold on to, asking me again and again: had I told him everything. And finally I said to him, "maybe all I know about Paul is that he was a fine fisherman." "You know more than that," my father said; "he was beautiful." And that was the last time we spoke of my brother's death." he sacrifaced himself hanging from the tree of the world and got to hear the mysteries of the runes, the words of the gods. I think Jim lived a life according to these archetypical energies. Alexander: thanks for sharing, this is really interesting. i am a big fan of Hillman and his wisdom. 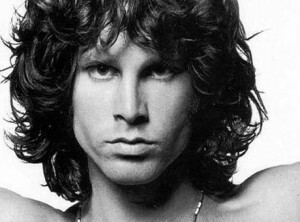 Jim Morrison was completly unbalanced. Where Odin, the father god, sacrificed his right eye to gain the wisdom to safe the world, Jim got stuck in the wanderer face, never reaching Mirmir's well. Thanks @Debra King I like the poem. Jim really was a poet and the relationship between Odin as father of poetry is eminent.